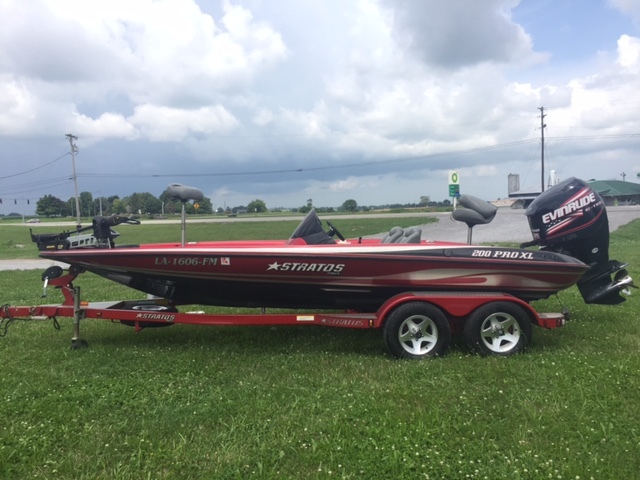 2008 Stratos 200 XL he hand-laid 200 XL is built for aggressive performance and incredible value. 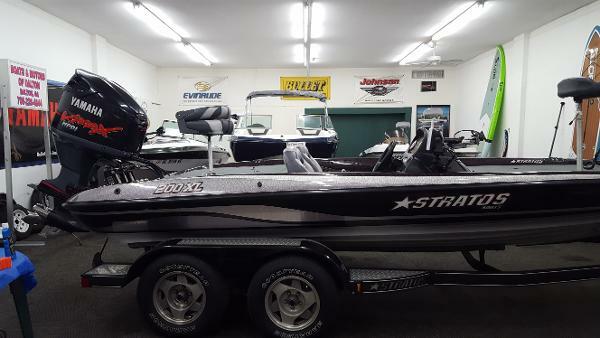 Inside, the roomy interior and the long list of standard features are geared to maximize your time on the water. 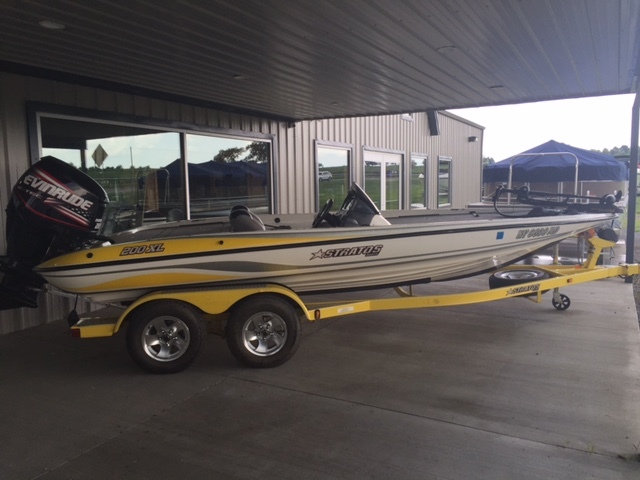 The massive front deck and 95" beam allow multiple anglers room to fish up front, while the abundance of storage keeps gear neatly packed and out of the way. 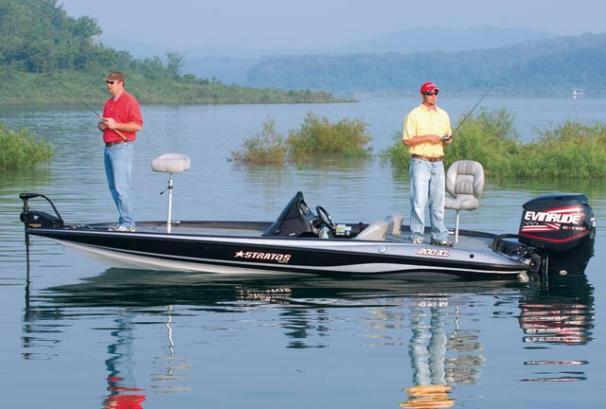 Available with a wide range of factory-rigged outboards, the 200 XL is equipped with Humminbird electronics, a Minn Kota trolling motor, on-board battery charger and much more. NMMA certified and backed by a Lifetime Limited Warranty.